Summer season is about to end and the festivals happening around the country are becoming less and less. Time to focus on the city again! For our weekly feature 'What's On', we've picked our top 5 events, so you can plan your weekend ahead. We hope to see you around, dancing of course! Started as a solo project of Frédéric Rivière, former drummer of Pony Pony Run Run and proud member of Nantes based Valerie artist collective. After moving to Paris, Anoraak has hired extra musicians and evolved into a 3-piece band. Now he's hitting the clubscene with a new project, using an MPC, a synthesizer and a few controllers. His style ranges from expect synth-pop, italo to indie-dance. Introducing their brand in the Philippines, Miller is going on to the second round. 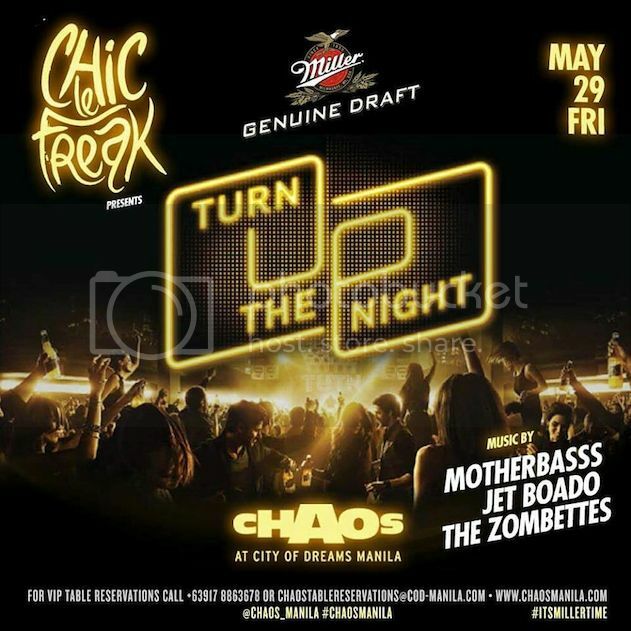 The event it will happen in Chaos Manila with no other than Motherbass, Jet Boado and Miller Resident DJs The Zombettes. Don't miss out, as a lot of surprises will await you. 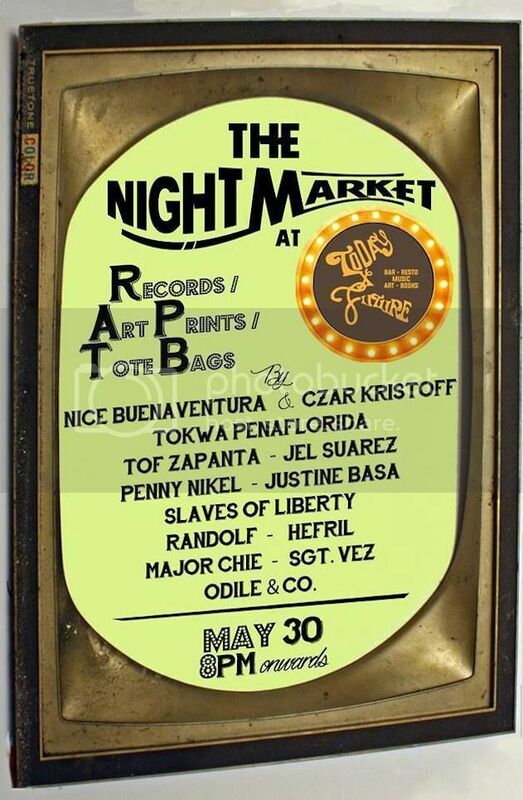 If you feel like buying some records, art prints or tote bags before going out, you should definitely hit Cubao for the Today x Future Night Market. Artists and vendors are Nice Buenaventura & Czar Kristoff, Tokwa Penaflorida, Tof Zapanta, Jel Suarez, Penny Nikel, Justine Basa, Slaves of Liberty, Randolf, Major Chie, Randolf, Hefril, Odile & Company and Sgt Vez. The afterparty will happen inside (and of course outside) with DJs Giangangbang, The Koolaids, Negavibes, David Sorrenti and Samantha. BBQ and street food will be served, too! If you're looking for a decent after party, our favorite underground club TIME is the place to be. 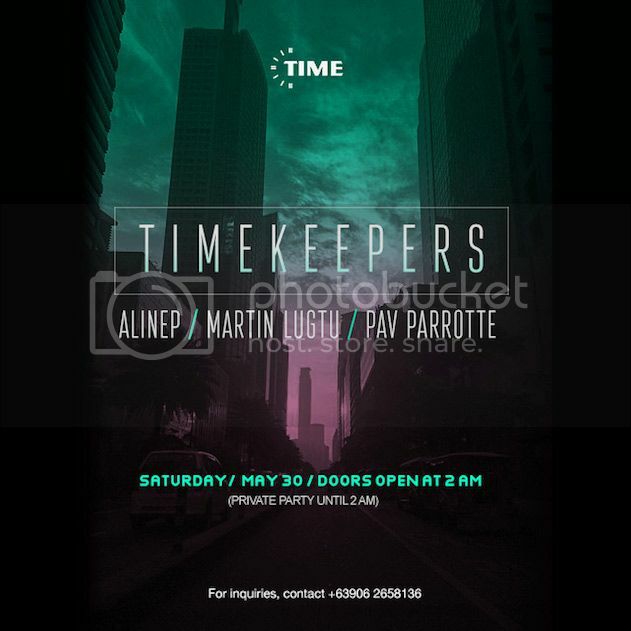 For this night, the good old trusted resident DJs Alinep, Martin Lugtu and Pav Parrotte will be behind the decks, all night long! Party starts at 2AM but goes until the morning hours as usual. Don't forget to go home! The Sunday Social is back! Expect some chilled summer tunes, amazing cocktails and food. Music by Mulan, Badkiss in addition to the residents Emel Rowe and Mikail.